Price Chopper is an American supermarket chain owned by the Golub Corporation. They offer a wide selection of products from grocery items to general merchandise. They also offer various in-store services such as a pharmacy, a bakery, and a deli. Joseph Grosberg partnered with William and Bernard Golub to form the Grosberg-Golub Corporation and they opened their first supermarket, Central Market, which they initially called Public Service Market, in 1932. In 1973, they renamed all stores Price Chopper. As of present, the supermarket chain has over 100 stores operating in New York, Connecticut, Vermont, Massachusetts, Pennsylvania, and New Hampshire. The company has over 20,000 employed workers. Some benefits of working here are tuition reimbursements, 401K retirement plan, health insurance, life insurance, dental and vision insurance, flexible spending accounts, longer vacations, and paid holidays. Price Chopper is an equal opportunity employer. Moreover, they value the health and wellness of their workers. They have a program called Well@Work which offers resources to improve their employees’ health and well-being. How old do you have to be to work at Price Chopper? The minimum age requirement to work at Price Chopper is 18 years old. This applies to basic entry-level positions. The age requirement for managerial and distribution jobs may vary. 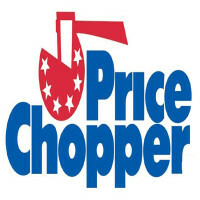 Price Chopper offers a wide selection of products and in-store services. Because of their steady growth, they are always hiring new workers. Available jobs include front-end workers, food section teammates, bakery teammates, pharmacists, florists, and distribution associates. Cashier: A Cashier is primarily responsible for ensuring an efficient checkout. Duties include operating the cash register, handling payment transactions, unloading products onto the counter, greeting the customers, assisting the customers with their requests or complaints, and handling coupons, credit/debit cards, AdvantEdge cards, rebates, and charge accounts. Bagger: A Bagger is primarily responsible for assisting the customers during checkout. Duties include properly packaging all purchases, loading groceries onto shopping carts, helping the customer load groceries in their car, clearing all shopping carts and returning them to their designated areas, and maintaining the cleanliness of the checkout area. Grocery Teammate: A Grocery Teammate is primarily responsible for providing excellent customer service to ensure a convenient and efficient grocery shopping experience for the customers. Duties include greeting customers, maintaining the cleanliness of the shelves and store floor, stocking and organizing the display cases and shelves, checking the accuracy of prices, unloading deliveries, retrieving shopping carts, and performing front-end tasks whenever necessary. Food Service Teammate: A Food Service Teammate is primarily responsible for preparing and handling food according to company specifications. Duties include assisting the customers with their orders, providing food samples and suggesting products, complying with corporate and state policies on safety and sanitation, and maintaining the cleanliness of the work station. Deli Teammate: A Deli Teammate is primarily responsible for assisting with the overall operations of the deli department. Duties include preparing and handling deli products, taking the customer’s order, cooking and wrapping orders, preparing store made food for food programs, and maintaining the sanitation of the work area. Seafood Teammate: A Seafood Teammate is primarily responsible for assisting with the operations of the seafood section. Duties include preparing and handling seafood products, setting and presenting products in the ice display, completing all special orders, operating kitchen equipment, performing sanitation duties, and suggesting products to boost sales. Pharmacist: The Pharmacist is primarily responsible for monitoring the daily operations of the pharmacy. Duties include releasing medication to patients, assisting and counseling patients regarding their health concerns, maintaining patients’ records, managing the inventory, and complying with state and federal laws for pharmacy operations. Delivery Professional: A Delivery Professional is primarily responsible for efficiently and promptly receiving and delivering orders from various departments. Duties include retrieving orders, coordinating with the dispatching clerk and store associates regarding orders, driving a delivery van, loading and unloading packages, maintaining the good working condition of delivery vehicles, and completing delivery logs daily. Assistant Night Team Leader: An Assistant Night Team Leader is primarily responsible for overseeing the night-time operations of the store. Duties include ordering and receiving product deliveries, overseeing the product inventory levels, ensuring that the shelves are properly stocked and leveled, overseeing all refrigeration, security procedures, and nightly resets, and supervising all night crew associates. Store Manager: A Store Manager is primarily responsible for overseeing the overall store operations. Duties include supervising all department managers, implementing financial and merchandising goals, recruiting and training new employees, adhering to state and federal regulations regarding staffing, sanitation, and safety, managing the stocks and inventory, and ensuring that all associates provide excellent customer service. To apply, you may visit any of their stores and inquire about available positions. You must submit your application form and other requirements to the store where you wish to work. You may also browse available positions and apply online. Both in-store and online applications are accepted. For online applications, go to their official website and access the Careers page. Browse through the available jobs posted and submit an electronic application through the given link. For online applications, you will be required to create an account and sign-in. Online applications are more convenient and hassle-free, however, personal applications are oftentimes more advantageous. For your resume, organize your information well and include only the necessary information. If you have undergone trainings or received certifications that are relevant to the job you are applying for, then include that also. Most employers tend to prefer more outgoing and more physically capable individuals. Leave a good impression. Project a positive and friendly attitude and, dress and present yourself professionally. Price Chopper promotes a healthy and positive culture. Their fast-paced working environment ensures efficient and quality service to customers, but they also ensure the well-being of their workers. In 2015, the company announced that Price Chopper will be renamed to Market 32. Following this, they have also announced that they will be phasing out cigarettes within the next ten years to follow the new store’s more health-conscious image. The company is known for their customer-centered initiatives that allow customers to enjoy numerous benefits. To name a few, they offer Wi-Fi in most stores, they offer fresh and organic produce, convenient pharmacy services, and coffee shops. Price Chopper gives back to the community by supporting charities and donating to causes such as Feeding America, Disabled American Veterans, fundraisers, local festivals, and sports teams. In 2017, they donated $168,290 to the American Red Cross for hurricane relief. 1 How old do you have to be to work at Price Chopper?